Mac’s are great for creating, altering and editing media, be it film, music or graphics and so it’s no surprise that some of the best content creation software is available for OS X – Photoshop, Logic Pro, Final Cut Pro, iWork and more. However, sometimes all this heavy lifting just isn’t needed and if your media needs revolve around resizing lolcats, making ringtones and uploading videos to Youtube, the above can seem a little like overkill. Here’s some great lightweight media related applications and a program to help schedule your life too, all of which have much of the functionality of their heavyweight counterparts, often at a much more affordable price. 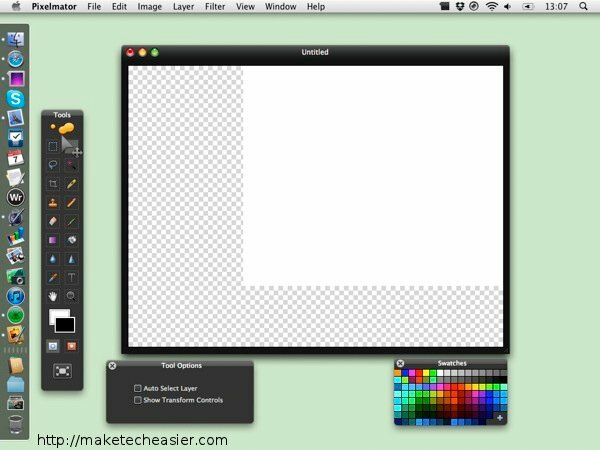 Pixelmator is a lightweight graphics editor which is beautifully designed, easy to use and works on older Mac hardware, even those machines which are powered by the now abandoned PowerPC architecture. As a blogger, I often need to do basic image manipulation and resizing, exporting to different formats and similar tasks. However, I have terrible Photoshop skills and don’t wish to spend time learning to become better as graphics don’t interest me a great deal. Happily, Pixelmator fits the bill as Photoshop for many users like myself and gives the tools of image manipulation to even the most graphically challenged or inexperienced amongst us. Despite the hate which it often generates with some users, I personally don’t have a problem with iTunes and its overall performance. Having said that, I sometimes only want a lightweight, easy music player which will handle any format I throw at it and not require the management of a library. 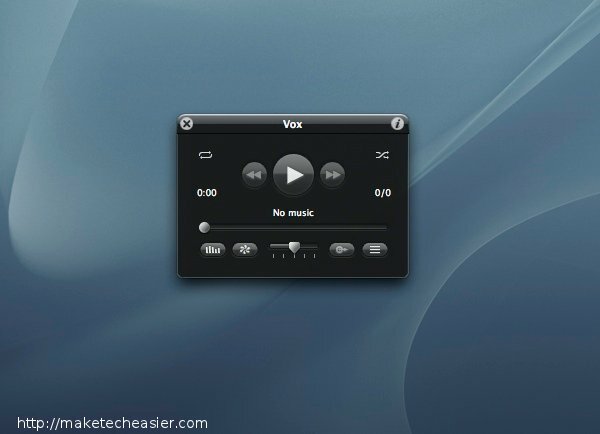 Vox does this extremely well, has a beautifully minimalist interface, EQ and playlist controls in addition to some other tweaks available under the hood – and all for free! 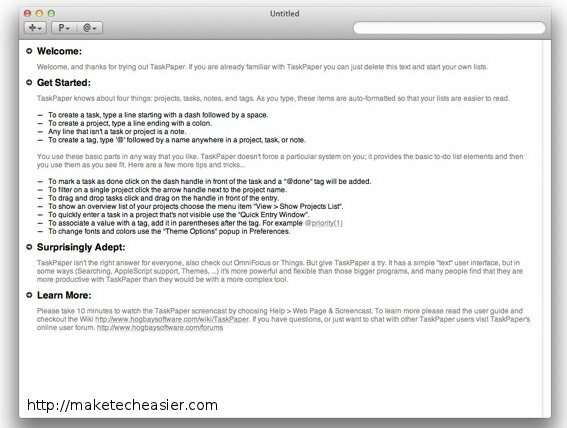 There are no end of GTD, or “getting things done” applications available for OS X and one of the most lightweight is Hog Bay Software’s Taskpaper. Lightweight and minimal often translates as simple and intuitive but Taskpaper does have something of a learning curve – to be sure, this should be a quick learning curve to the more technically minded, but those who wish something more intuitive might be better looking elsewhere for their time management needs. GarageBand is included free with every new Mac but for those who wish for something more lightweight and flexible, Reaper is an excellent choice of DAW. 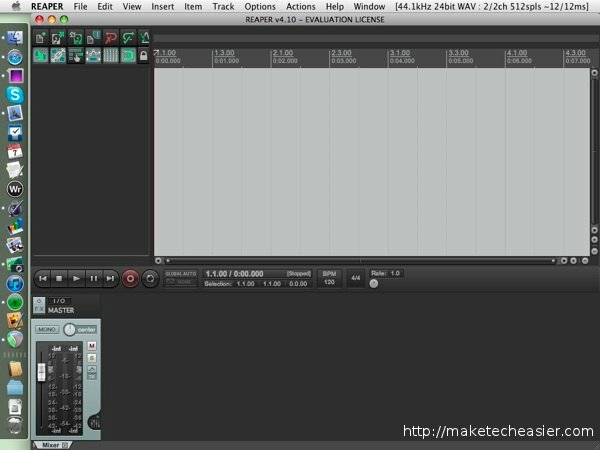 With several versions available for Windows and Mac OS X, Reaper also actively supports the PowerPC architecture – ensuring that even the oldest Macs should still be able to create and edit audio tracks. Reaper is free to use, with an inexpensive product activation encouraged, though not demanded, as it will continue to run indefinitely. Whatever type of application you’re looking for, there’s almost always a lightweight, low-cost option available for purchase or download – though due to the nature of independent software developers and their limited press coverage, it’s not always easy to find them. Have you got any favourite lightweight applications? Please let us know about them in the comments!